The European Compost Network (ECN) is a European non-profit membership organisation promoting sustainable recycling practices in composting, anaerobic digestion and other biological treatment processes of organic resources. Our purpose is to work with practitioners, researchers, technicians and policy makers to deliver integrated organic waste recycling solutions that generate high quality products for the benefit of the environment and the users of the recycled products. ECN supports the policy objectives of the European Union through its activities and with its network of knowledgeable experts. ECN directly assists Member States in developing waste management plans and policies that drive them away from large scale landfilling and into the recycling of organic resources. ECN also serves as focal point for developing EU quality standards for bio-waste treatment and compost production; it is a network for the organic waste recycling sector in Europe, as well as the emerging bio-based economy. ECN’s vision is a Europe in which all organic resources are recycled and recovered in a sustainable way. 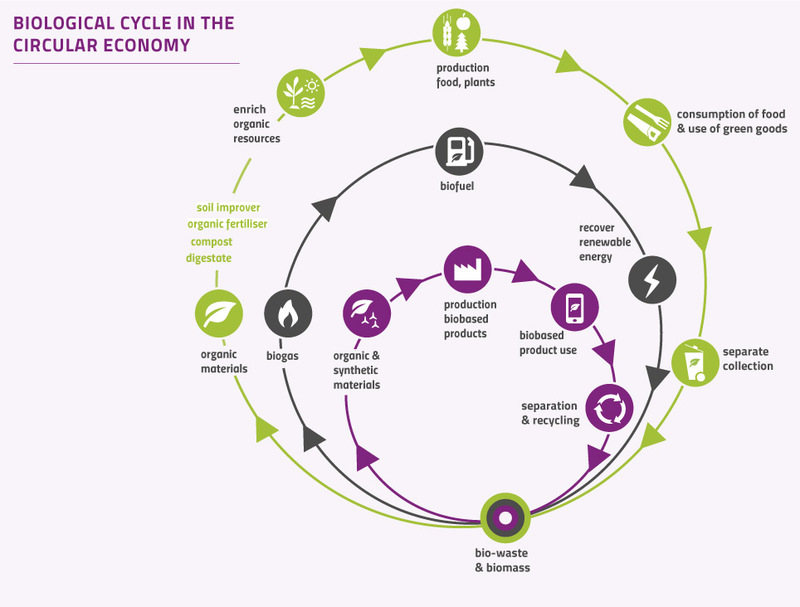 From this vision, ECN’s primary goal is to support the implementation of EU waste policies and thereby contributing to the development of a recycling society, to sustainable agriculture and energy recovery, to improve human health and to create overall added value within the European market. To achieve this, we believe that effective recycling in all Member States should be built on appropriate collection systems for organic waste to promote high quality products derived from biological treatment. ECN supports this development through: implementation programmes for Member States; the development of EU quality assurance systems for compost and digestate; and, guidelines for the monitoring of operational processes within compost and digestate facilities. The objective and the main focus of ECN are to promote knowledge about best practices throughout Europe for the establishment of sustainable systems for organic waste management through integration of policies and strategies, technological development and improvement of operations. Providing information of all aspects within the field of activity of the network to policy and decision makers on national and European level. Exchange knowledge and experiences in the practice of collection, treatment, recycling, application and marketing of organic wastes including the management of environmental side effects. Promoting scientific research and development activities and their co-ordination between the European countries and making available the results, especially the related practical aspects. Organising conferences, workshops, seminars, education and training courses etc. on an international or regional level and supporting such events organised by other associations active in the range of biological waste. Establishing and maintaining relations with other international or national organisations whose activities are related to organic waste management. With the publication of the ECN Quality Manual ‘ECN-QAS - European Quality Assurance Scheme for Compost and Digestate’ in October 2014, the European Compost Network (ECN) laid down harmonised requirements for national certification bodies and quality criteria for recycled materials from organic resources. The aim is to facilitate the free cross-border movement of composts and digestate made out of recycled bio-wastes within the EU. It also supports European policy initiatives setting end-of-waste criteria for compost and digestate within the Waste Framework Directive and revisions to the Fertilisers Regulation. The ECN-QAS is registered as Trade Mark for certified quality assurance organisations, compost and digestate products at the European Register of Community Trade Marks (‘OHIM 2012/210: TM No 011007168’).